UNDER CONSTRUCTION! UNDER CONSTRUCTION!UNDER CONSTRUCTION! UNDER CONSTRUCTION! UNDER CONSTRUCTION! UNDER CONSTRUCTION!UNDER CONSTRUCTION! UNDER CONSTRUCTION!UNDER CONSTRUCTION! UNDER CONSTRUCTION!UNDER CONSTRUCTION! UNDER CONSTRUCTION!UNDER CONSTRUCTION! UNDER CONSTRUCTION!UNDER CONSTRUCTION! UNDER CONSTRUCTION! UNDER CONSTRUCTION! UNDER CONSTRUCTION! UNDER CONSTRUCTION!UNDER CONSTRUCTION! UNDER CONSTRUCTION!UNDER CONSTRUCTION! UNDER CONSTRUCTION!UNDER CONSTRUCTION! 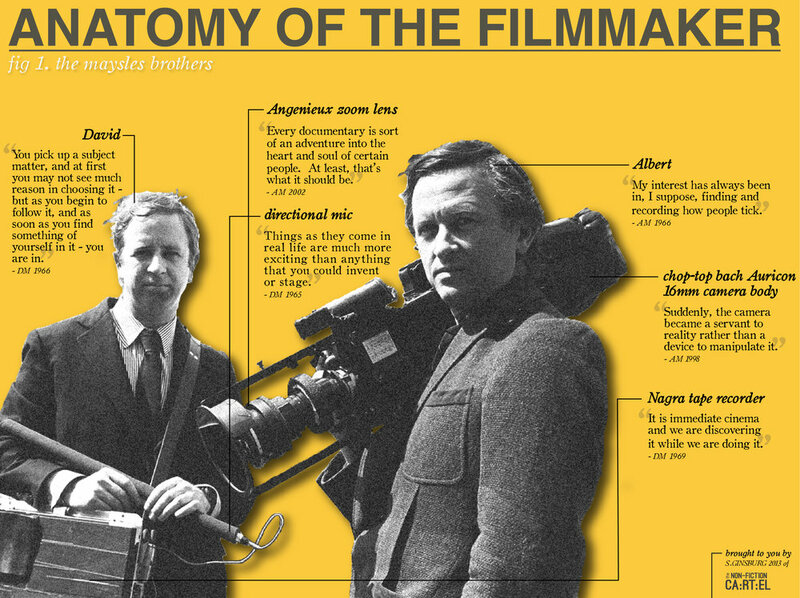 Anatomy of The Filmmaker is a series that dissects both the philosophy and the equipment used by our favorite documentary filmmakers of today and yesterday. Selected graphics from this series were published in Keyframe, Fandor's online publication in 2014. Click the images to read the short essays that accompany each graphic. All research and design is done by Sarah Ginsburg as part of a project for the Boston-based documentary collective, The Non-Fiction Cartel.